Our FREE outdoor concert series continues on Friday, July 7th with a Caribbean-style performance from Caiso Steelband. 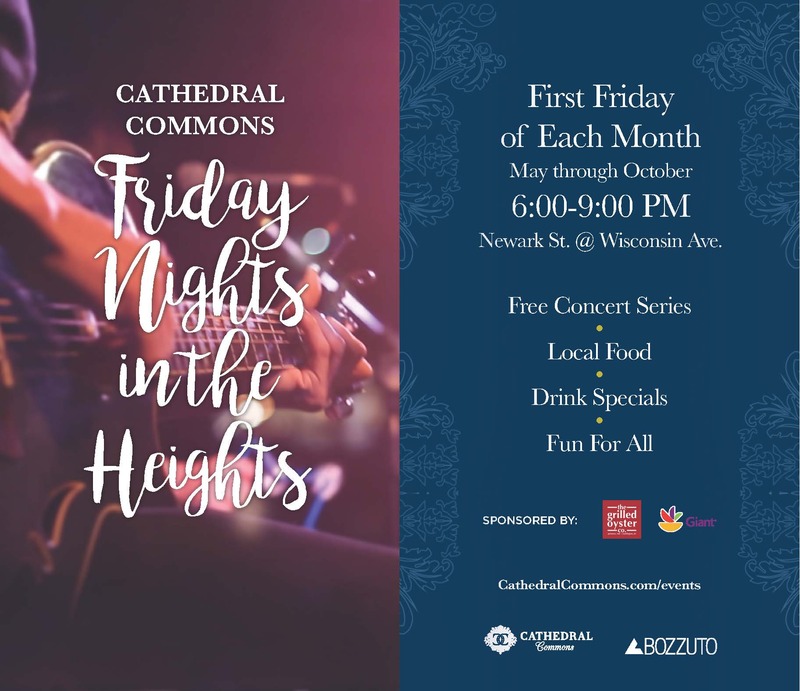 From 6-9PM, we’ll rock the block (Newark Street at Wisconsin Ave.) with live music, local food offerings, drink specials and face painting for the kids. Meet up with friends or bring your family to enjoy a wonderful summer evening filled with plenty of outdoor entertainment! Event is sponsored by Giant Food and The Grilled Oyster Company-DC.